Remember how I gave you some wacky taco recipes last week? Well this week, we're talkin' sandwiches. 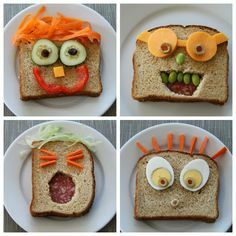 With school approaching, sandwich lunches are easy to pack -- but a simple Smuckers can get boring after a while. Why not switch it up? Why not make a crazy *but delicious* sandwich combo?! Slice up your tempeh & sautée it in a pan until brown. Slice up your sweet potato into thick wedges, and steam those in a pan until sauce. Assemble ingredients onto your sandwich bread! 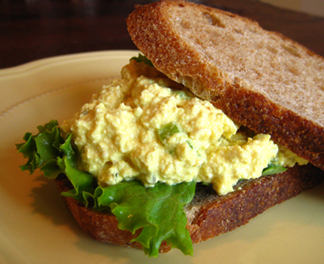 Mash your chickpeas with a fork, add the other ingredients, and throw it onto your sandwich bread. Put slice of cheese, then sweet potato, then salsa, then spinach on your sandwich and EAT! You knew I had to throw a sweet potato recipe in there. I just love sweet potatoes so much! 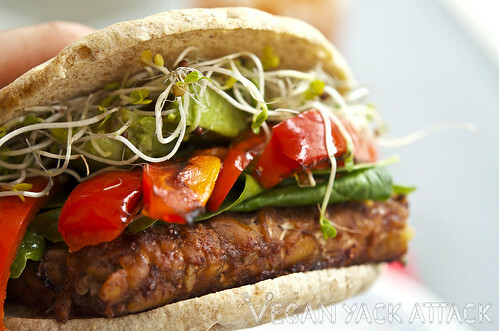 Share this post with someone who needs some lunchspiration in their life! Next week we're going to do some crazy noodle recipes... Look out for that one.